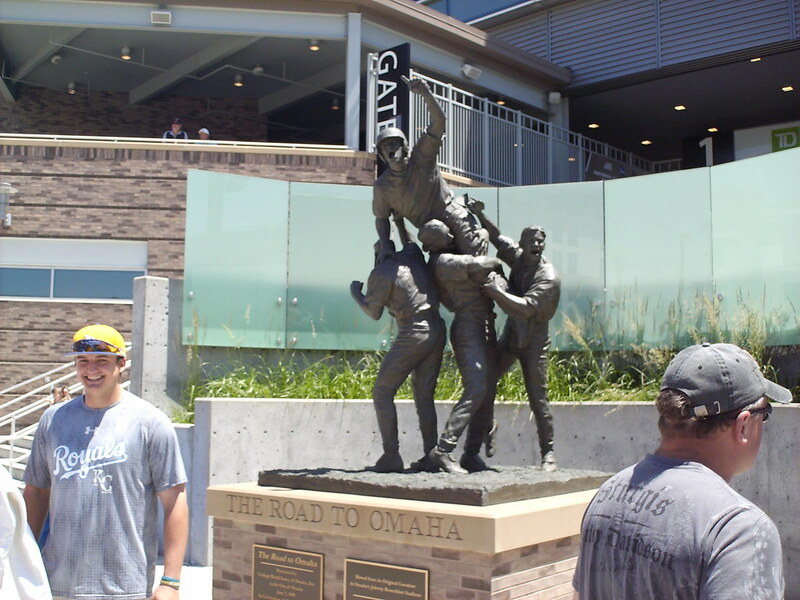 "The Road to Omaha" statue outside the main gate at TD Ameritrade Park Omaha. 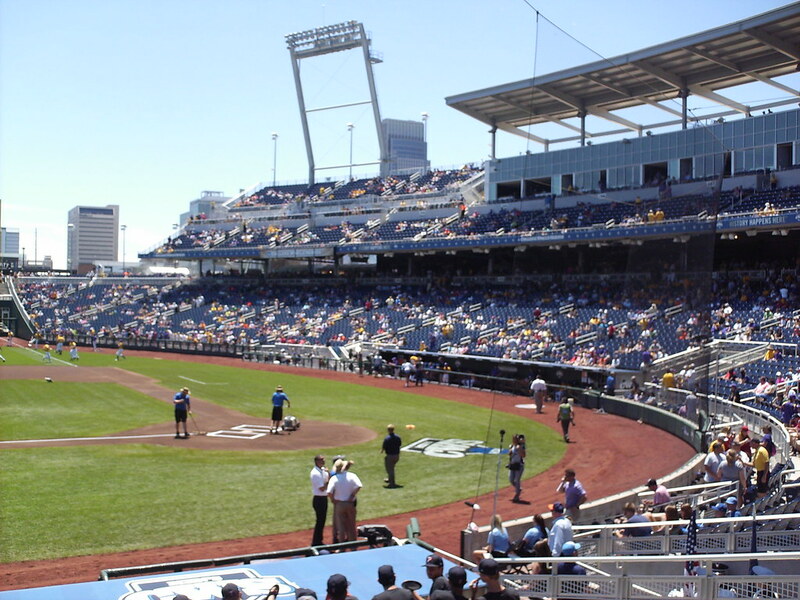 The statue was moved from Rosenblatt Stadium, the former home of the College World Series. 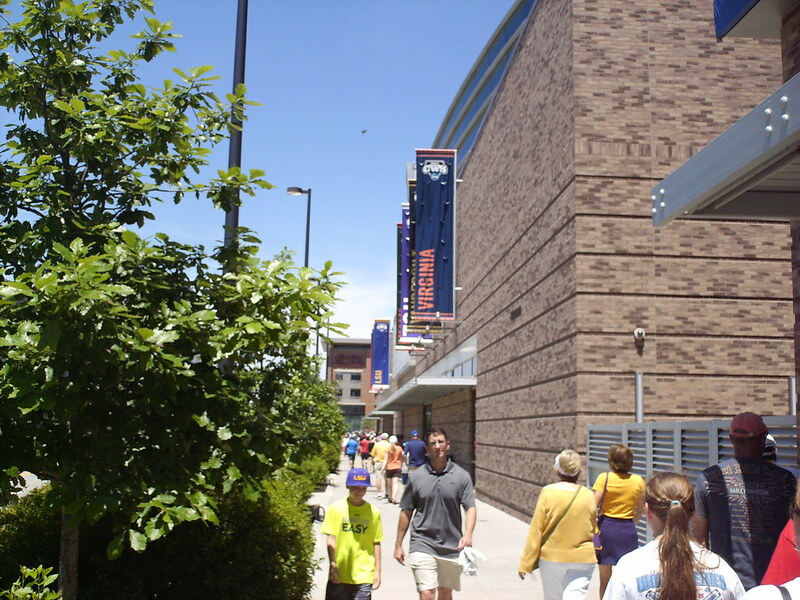 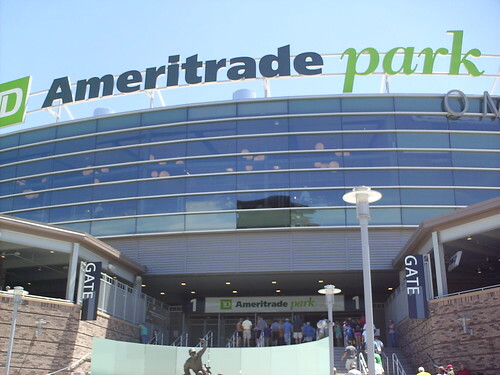 Banners on the outside of the ballpark celebrate the eight teams competing in the College World Series. 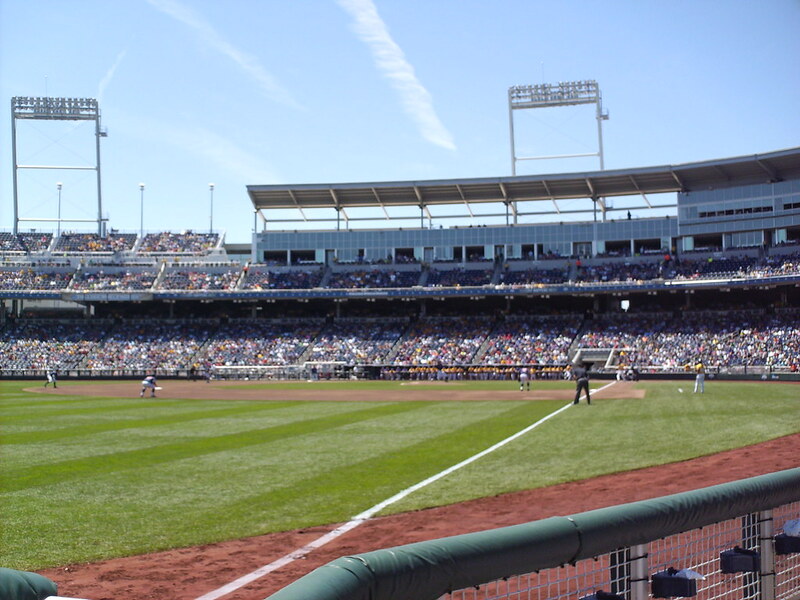 The view from behind home plate at TD Ameritrade Park. 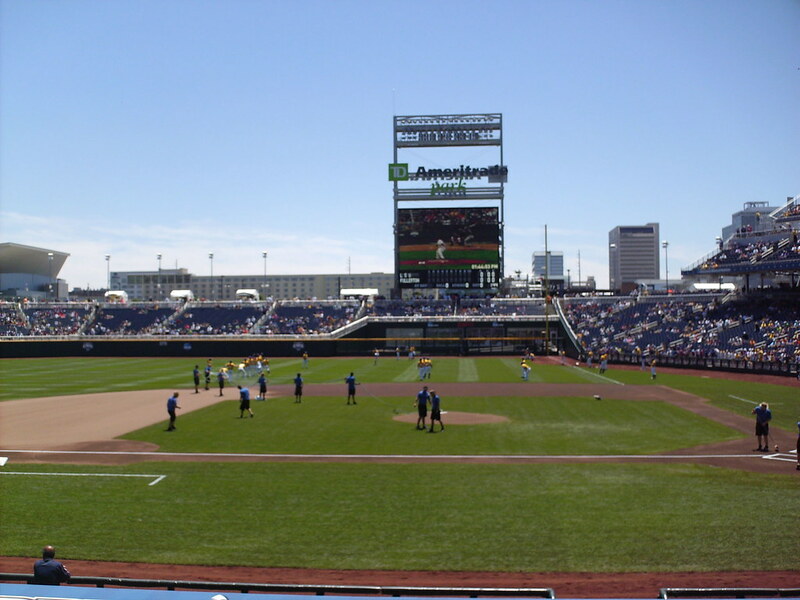 The grandstand at TD Ameritrade Park, as seen from center field. 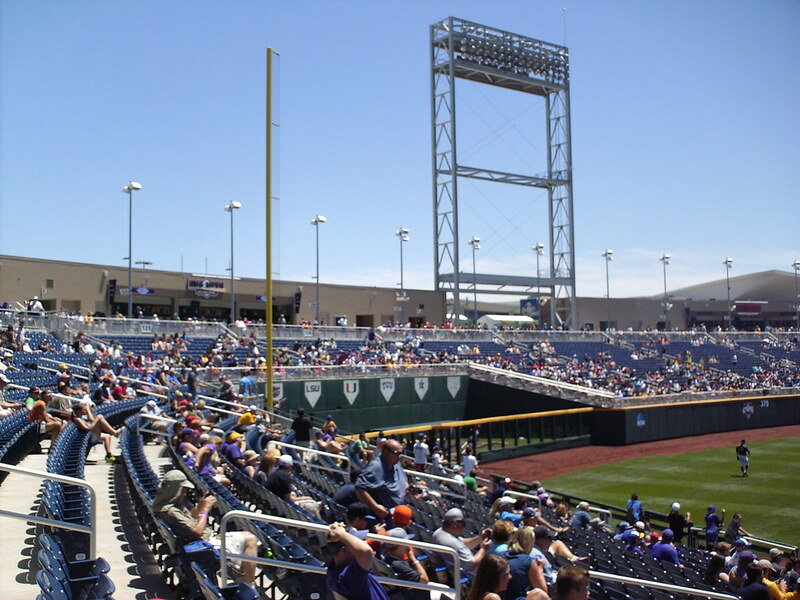 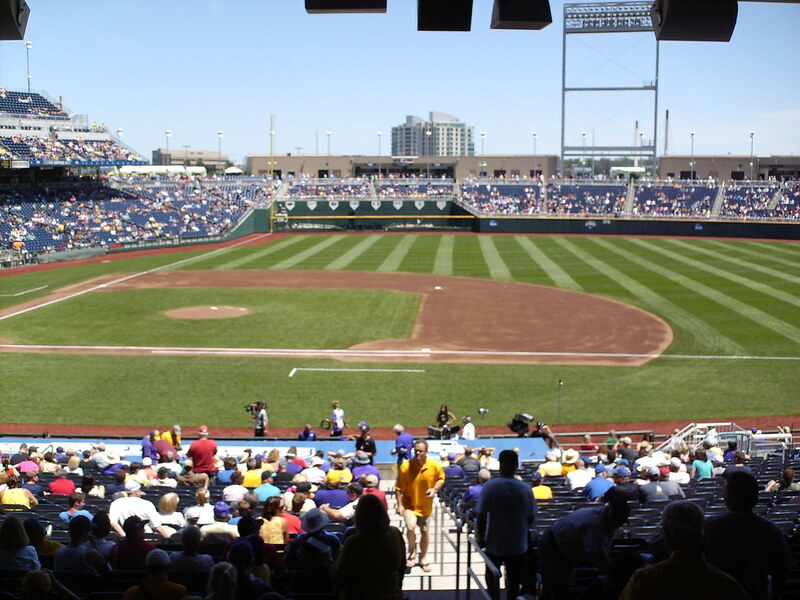 The pressbox at TD Ameritrade Park is much larger than most, as it must house press from all 8 College World Series teams as well as national media. 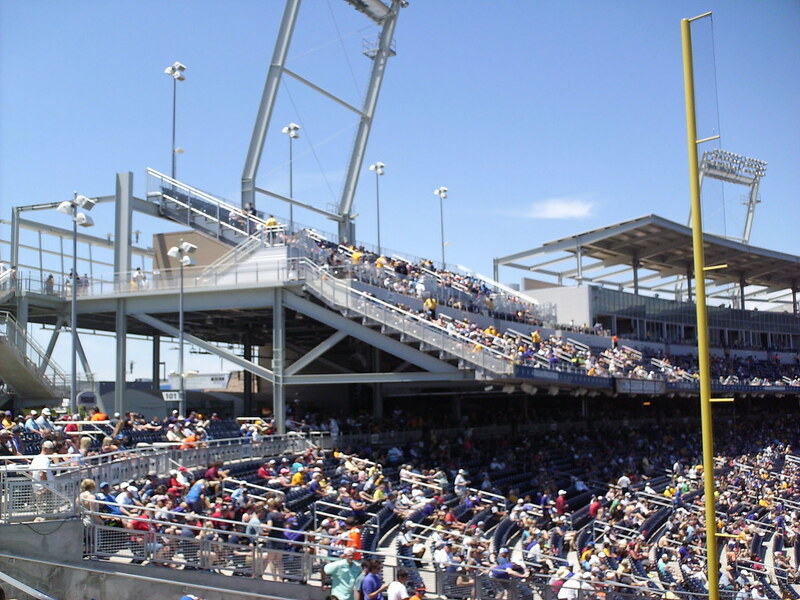 The upper decks feature several rows of seating, luxury boxes, and large seating decks in each corner. 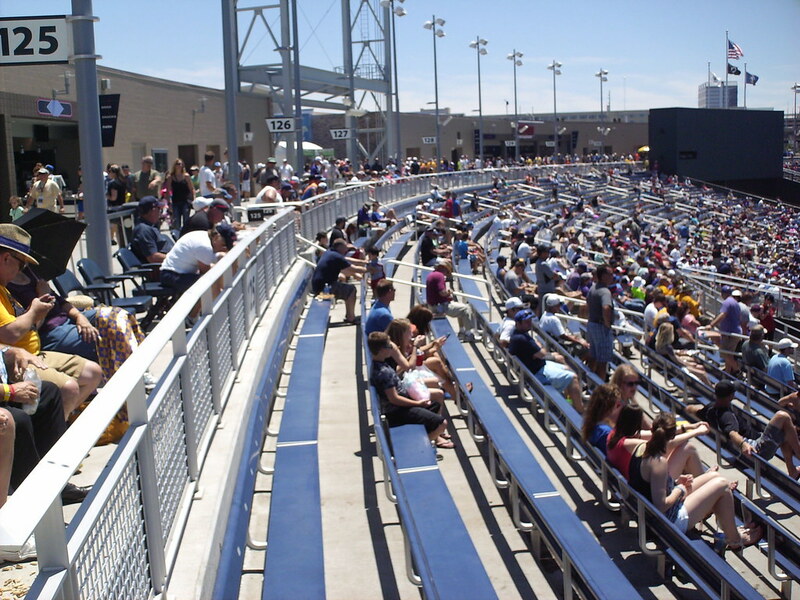 The second deck extends out over the main seating bowl, providing shade for fans during the sunny day games that make up nearly half of the CWS schedule. 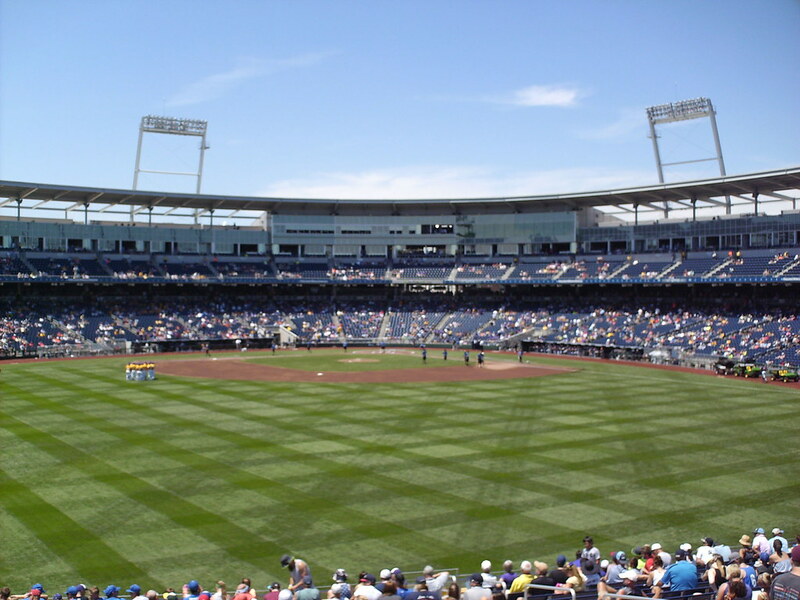 A large bleacher section wraps around the entire outfield at TD Ameritrade Park. 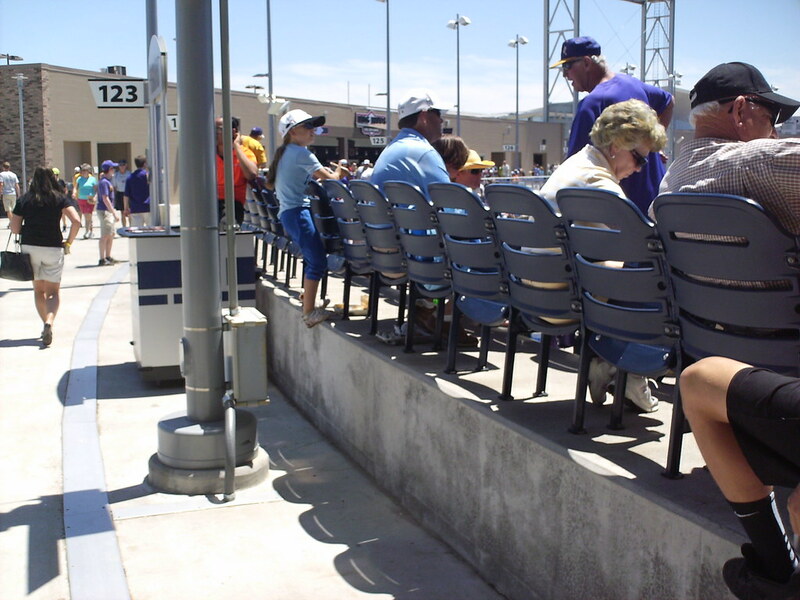 Seating on the outfield concourse is raised up on concrete risers, adding several extra rows of seats. 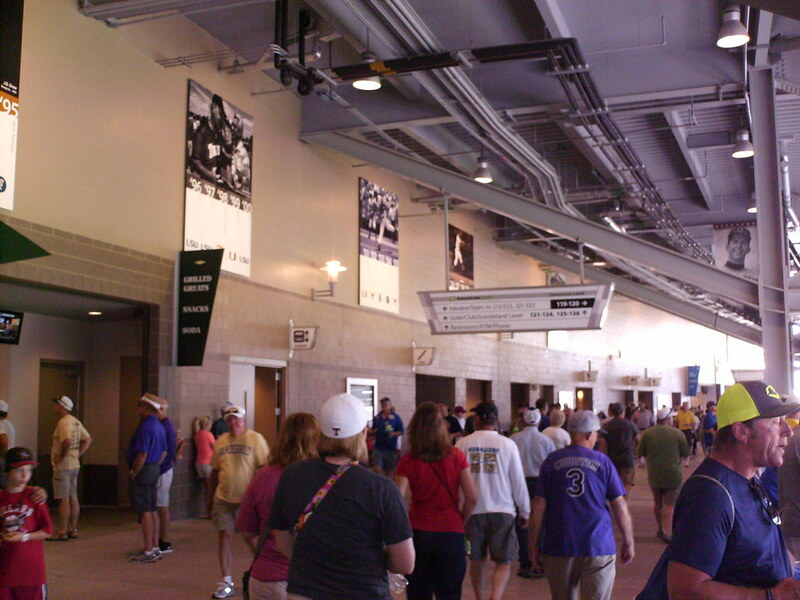 Plaques along the large main concourse celebrate the past College World Series champions. 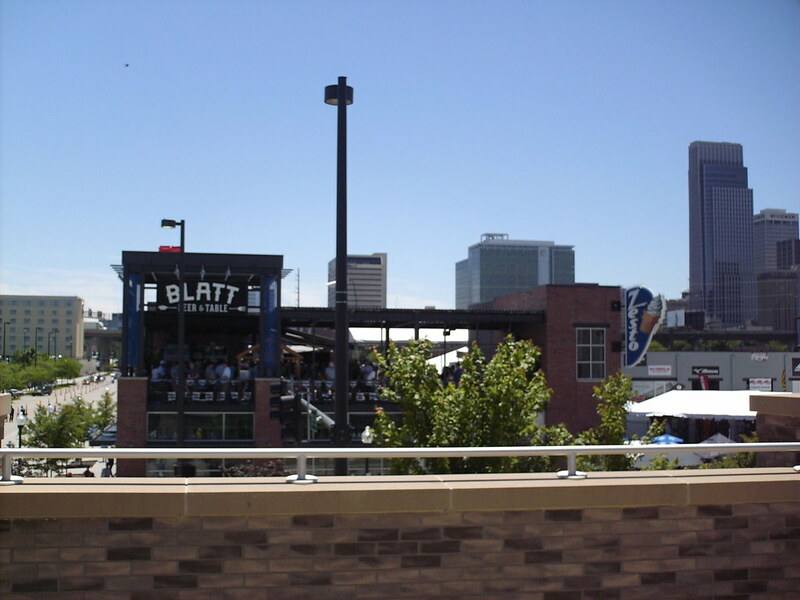 A bar behind the outfield fence honors Rosenblatt Stadium, the former home of baseball- and the College World Series- in Omaha. 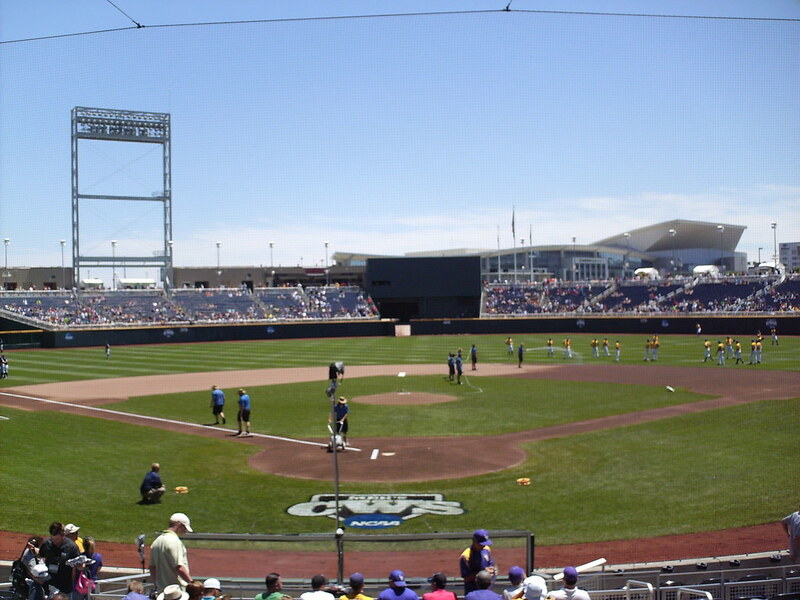 The home bullpen in the left field corner features banners for each team in the College World Series field. 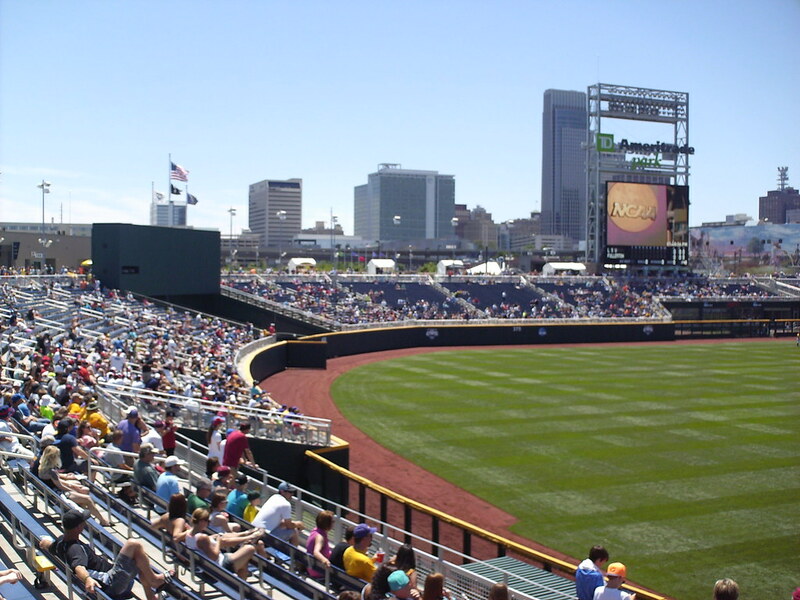 The outfield wall and the view of downtown Omaha from the left field corner. 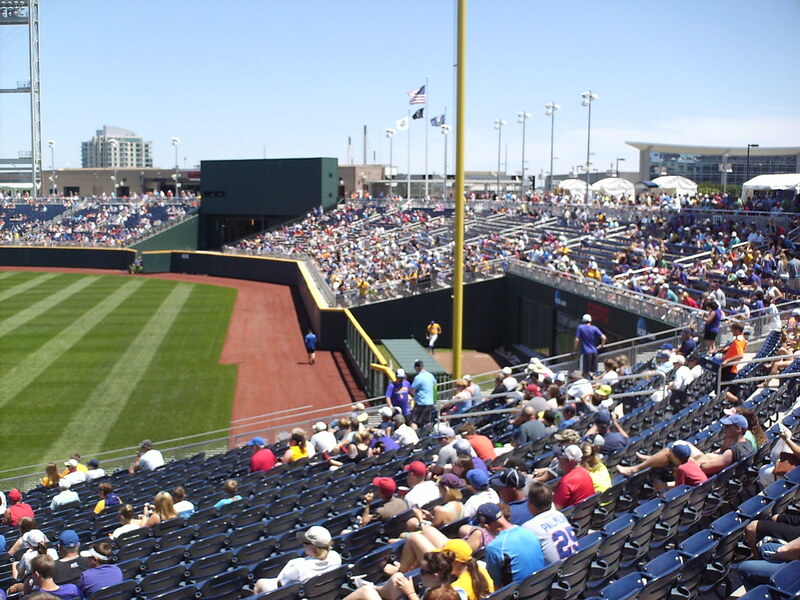 The outfield wall makes a couple of sharp corners, and is deeper at the bullpens, creating alcoves in the corners. 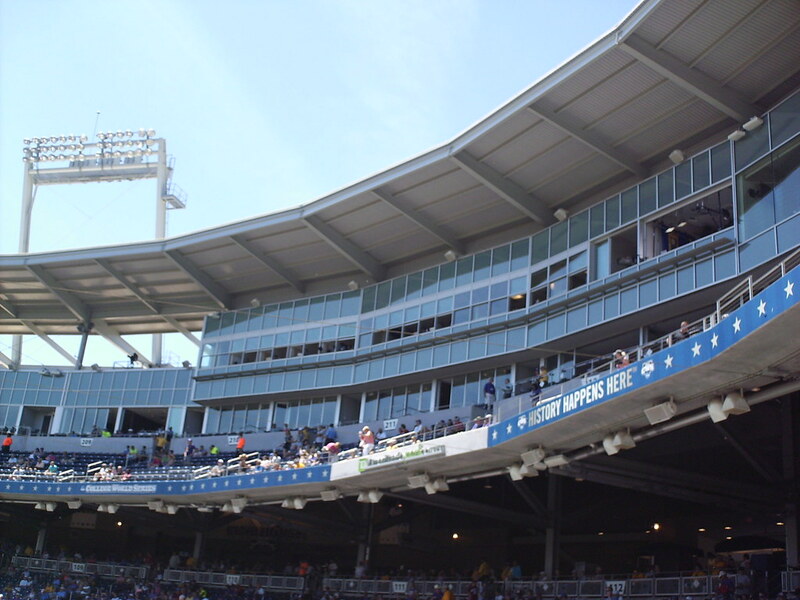 The scoreboard is mounted on one of the park's signature light towers in the right field corner of the park. 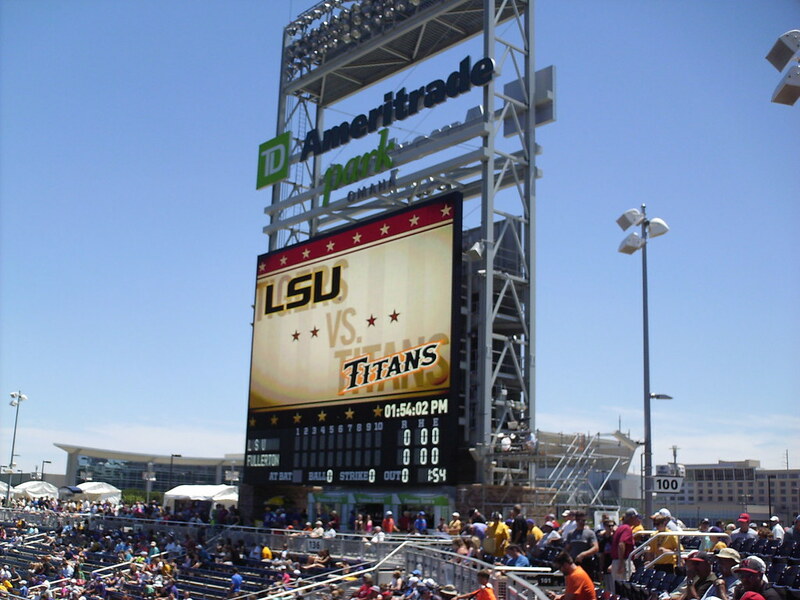 The LSU Tigers and Cal State Fullerton Titans on the field during a College World Series game at TD Ameritrade Park Omaha.